I have a weakness for little Maggie Mae's. This pattern is just so cute. I have made several before and don't see myself stopping anytime soon. One of my favorites was the one I made with an old pillowcase for a sweet little girl named Ella. I so hope I can find another pillowcase like this one again some day. I just love how it turned out. 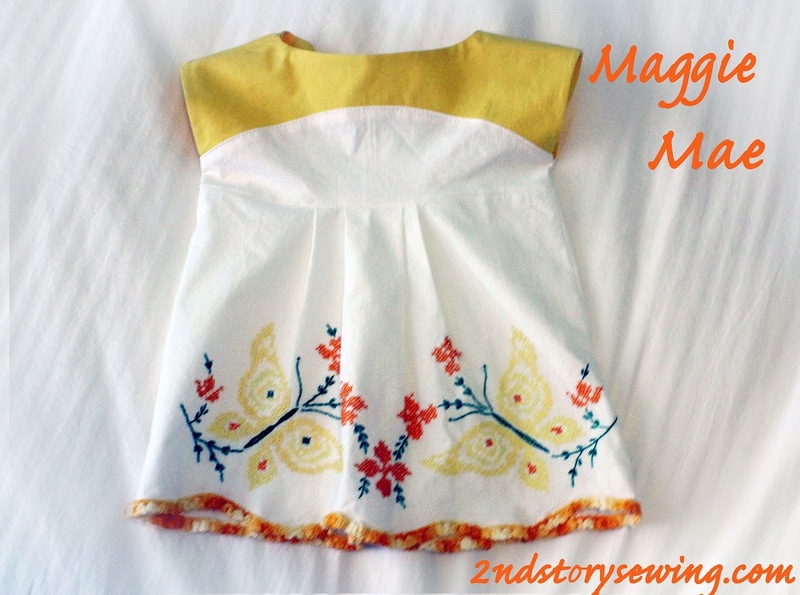 But the blue Maggie Mae I just created for another little cutie named Elise may be up there with my favorite. 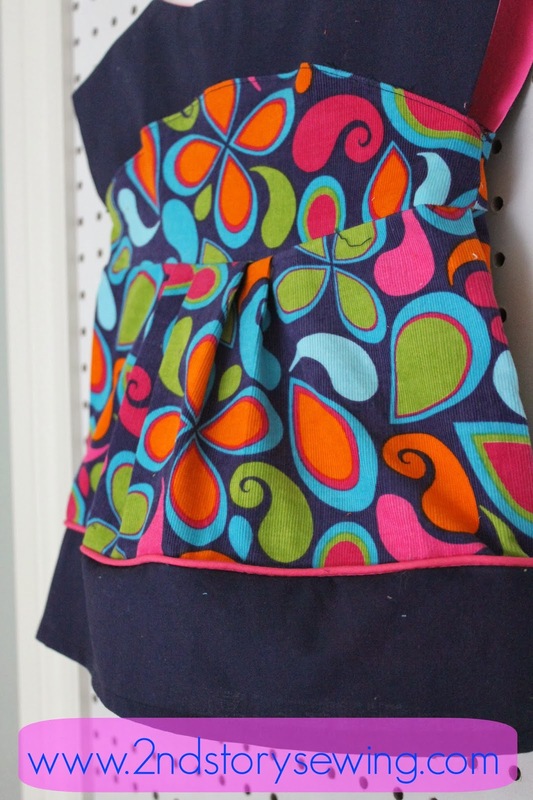 This tunic was created with a thin corduroy from Joann Fabrics, a navy blue Kona cotton, hot pink piping and some Riley Blake neon cotton that I won from Project Sewn! I love the pops of pink in this top. 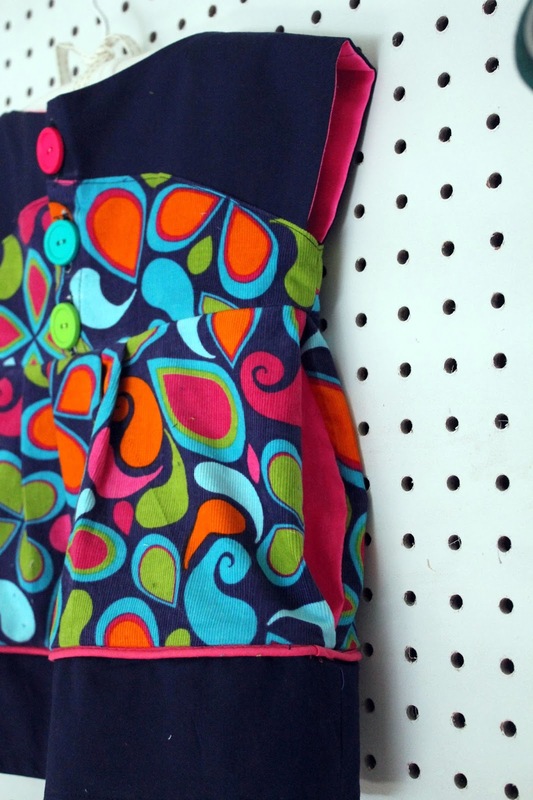 You can find it in the lining of the pockets and the bodice as well on one of the back buttons and piping. 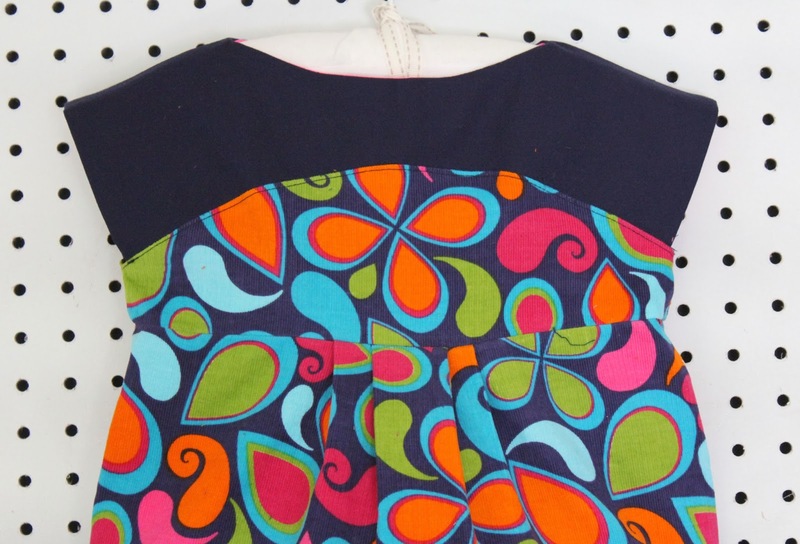 The thin corduroy worked lovely on this top but if I am being honest...the piping, while cute, made the top a little stiffer than I would have liked around the bottom. I hope the little blonde darling who received the top is getting some good use out of it. This is a very cute tunic, I love both of them! And thanks for pointing me in the direction of Maggie Mae. The pattern is new to me, but is now added to my pattern wishlist :).